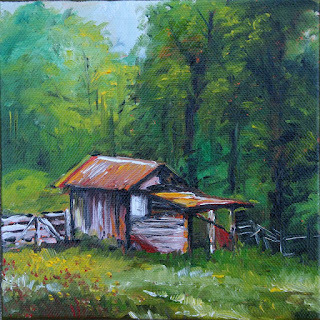 Did a Plein Air painting today of one of my parent's sheds. 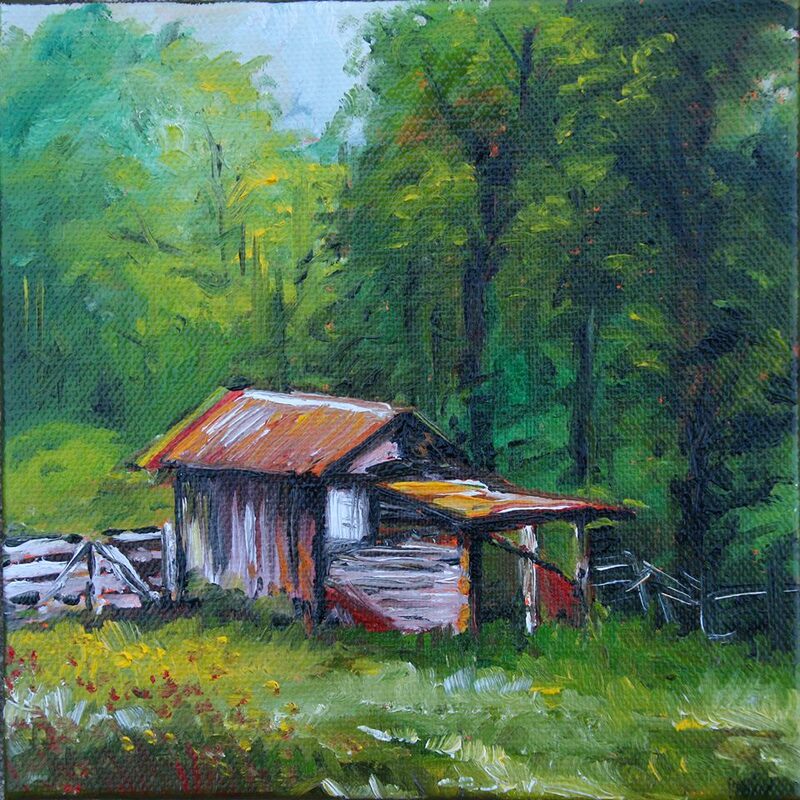 This painting is 6" x 6" oil on canvas. Located at Sterle Place, Hemphill, Texas.